A used Honda Civic is one of the world’s longstanding and successful hatchbacks available. Everything about the Honda Civic has changed since it first came on the market in 1972. The Civic has always had a whiff of the older generations about it; thanks mainly to the company’s styling of the car and practicality. Now though, with the 2006+ Civic, the game has changed. The Civic is now a car for young people, too. What helped solidify this ideology further was the Type-R Model. With a high-revving, naturally-aspirated V-tec engine, this 200bhp, 2.0-litre hot hatch was loved by everyone under 30. Used Honda Civics are great buys for both the older and younger drivers. Newer models are more sleek and sporty than ever, though older ones are still known for being safe and sturdy. All 2006-onwards second-hand Civics come with ABS, airbags, an incredible design, push starter button, climate control, air-con and either a diesel or petrol lump. The engines range from a 100hp 1.4-litre petrol, a 140bhp 1.8-litre petrol, the 2.0-litre Type-R engine and a 2.2-litre diesel with 140bhp. 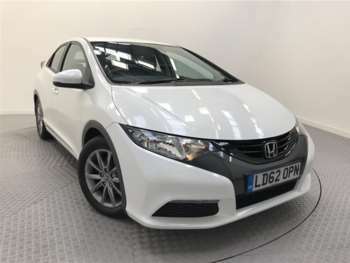 Whether you’re looking for a used Coupe or a Saloon model, you can find a second-hand Honda Civic for sale right here. The overall ride has been said to be quite harsh in places, though a used Honda Civic is very compliant in the bends, feels solidly made and has an interior to die for. It comes with a steering wheel that’s lovely to hold and there’s plenty of room in the front, rear and boot. And as if that isn’t enough, all the engines pull well – especially the 2.2 diesel. The 140bhp diesel has a 0-62mph of 8.6 seconds, but it’s the torque which really sets this engine apart. Overtaking is a breeze, and there are even those who claim the diesel – when chipped – is quicker than the Type-R.